HÀ NỘI — Moody’s Investors Service on Monday assigned first-time ratings and assessments to the Orient Commercial Joint Stock Bank (OCB). Under the ratings, Moody’s assigned OCB’s long-term local and foreign currency deposit and issuer ratings of B2 with stable outlook. The rating agency also assigned OCB’s short-term local and foreign currency deposit and issuer ratings of Not Prime; baseline credit assessment (BCA) and adjusted BCA of b3; Counterparty Risk Assessments of B2 (cr)/NP (cr). According to Moody’s, the B2 long-term ratings assigned to OCB reflects its BCA of b3, and a is one-notch uplift based on Moody’s expectation of a moderate probability of support from the Government of Vietnam (B1 stable). The b3 BCA assigned to OCB reflects its modest solvency and funding metrics. The BCA also takes into account Moody’s expectation that the bank’s asset quality and capital profile will weaken over time because of its aggressive loan growth strategy. OCB’s asset risk is elevated, but largely in line with the average for other rated banks in Việt Nam. Some 6 per cent of its adjusted gross loans were problematic at end-2016, an improvement from 11 per cent at end-2015. The definition of adjusted problem loans includes special mention loans, non-performing loans, problem loans sold to the Vietnam Asset Management Company (VAMC), restructured loans classified as performing, and other problem assets. OCB’s asset quality improved in 2016, because of the full cash recovery of assets due from the Government-owned Vietnam Development Bank, and healthy cash recovery on VAMC bonds. 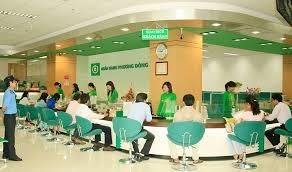 However, Moody’s expects that OCB’s asset risk will remain elevated over the next 12-18 months because of the rapid loan growth of 39 per cent in 2016 and 30 per cent in 2015, which were much higher than for the overall banking sector in Việt Nam. Moody’s will consider upgrading the BCA if the bank’s adjusted problem loans ratio falls below 4 per cent and its TCE ratio exceeds 10 per cent. Loan diversification away from real estate and construction loans - which Moody’s considers as higher-risk in Việt Nam - would also be positive for the BCA. An improvement in Việt Nam’s Macro Profile of Weak would also be BCA-positive. The B2 long-term ratings could be upgraded, if the bank’s BCA is upgraded and Việt Nam’s sovereign rating is upgraded. On the other hand, OCB’s long-term ratings could be downgraded if its problem loans ratio — as adjusted by Moody’s — rises above 10 per cent of gross loans or if its TCE ratio drops significantly below 7 per cent. The ratings are also sensitive to a significant weakening in the bank’s liquidity profile.